After much anticipation, the redesigned Jeep Wrangler is finally available! The best and most well-equipped Wrangler yet, the All-New Wrangler adds on more safety, technology and comfort features while retaining the classic Jeep style cues and off-road excellence that have defined the model for generations. 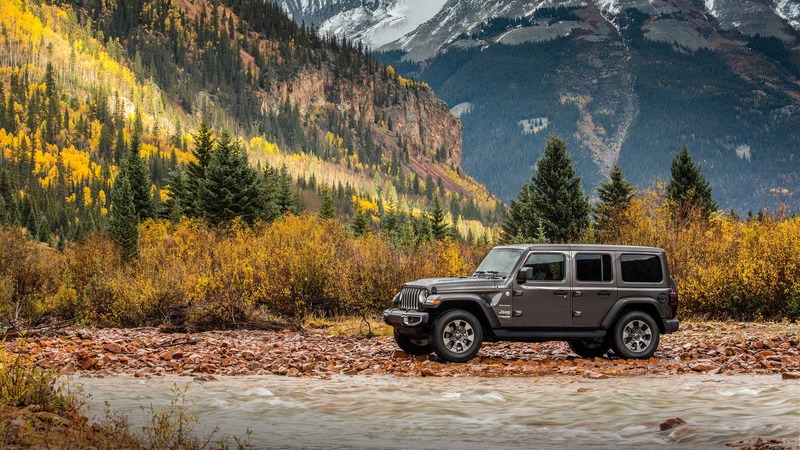 Read on to learn more about this freshly redesigned vehicle, and get excited about the 2018 Jeep All-New Wrangler. What kind of power and handling can I expect from the All-New Wrangler? One of the things that carried over from the old Wrangler's design is the tried-and-true Pentastar 3.6-liter V6 engine. This engine is trusted by the Chrysler Dodge Jeep RAM family of vehicles to power some of it's most popular vehicles, including the Jeep Grand Cherokee, the Dodge Journey, and the Chrysler Pacifica minivan. Enhanced to provide more power than ever, the V6 puts out 285 horsepower and 260 pound-feet of torque. With this engine, two-door Wrangler models are estimated to achieve 23 miles per gallon on the highway, and can tow up to 2,000 pounds. Four-door models increase the maximum tow capacity to 3,500 pounds. 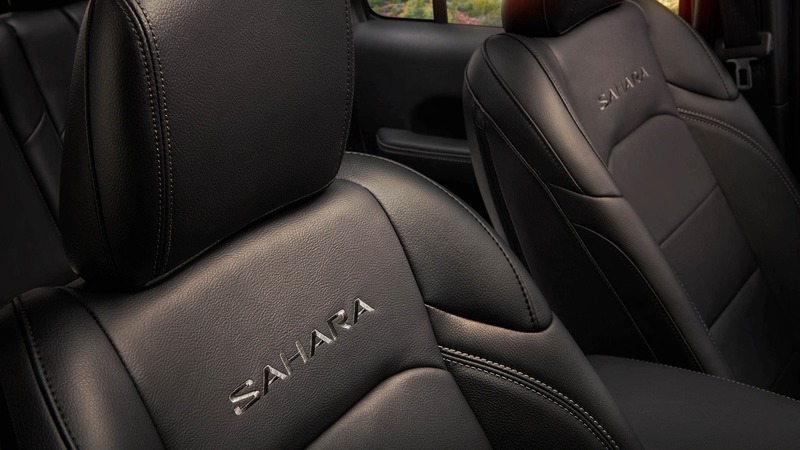 Transmission options are an eight-speed automatic and a six -speed manual. What safety and security features are available with the 2018 All-New Wrangler? Taking things to the next level, safety-wise, the All-New Wrangler offers over 75 standard and available features for safety and security. Standard features include four airbags, electronic stability control, electronic roll mitigation, and a locking center console and glovebox. A rearview camera with dynamic gridlines is also offered, and a ParkSense Rear Park Assist System. More advanced safety technology is also available, and includes Blind Spot Monitoring and Rear Cross-Path Detection, which use radar-based sensors to deliver real-time information and alerts. What makes the All-New Wrangler so good off road? Three available four-wheel-drive systems are offered in 2018 to make the All-New Wrangler the off-road machine that fans of the brand love. The first is a Selec-Trac 4x4 system, which switches back and forth between 2WD and 4WD depending on what's needed at the time. This offers confident maneuvering of tough terrain but saves your fuel economy when it's not needed. Next, the Command-Trac system is more rugged, and features an NV241 GII transfer case with shift-on-the-fly capability. This system has a 2.72:1 low range for crawling over large rocks and a neutral range perfect for towing. Finally, Jeep's most hard-core 4x4 system is the Rock-Trac. Rock-Trac comes standard on the Rubicon trim, and offers the most rugged off-road ability that you can get from the brand. All models of the All-New Wrangler will come equipped with a variety of off-road mechanisms, which may include off-road tires, hill descent control, an electronic front sway bar and much more. If you're like us, you've waited long enough for this redesigned model to hit the market! Don't wait another day. Come down to our lot right away and check out our extensive inventory of the All-New Jeep Wrangler and see for yourself how awesome this redesign is!